The module AR600 – Architectural Pedagogy is now running for the second year, following a successful first year in 2014-15. 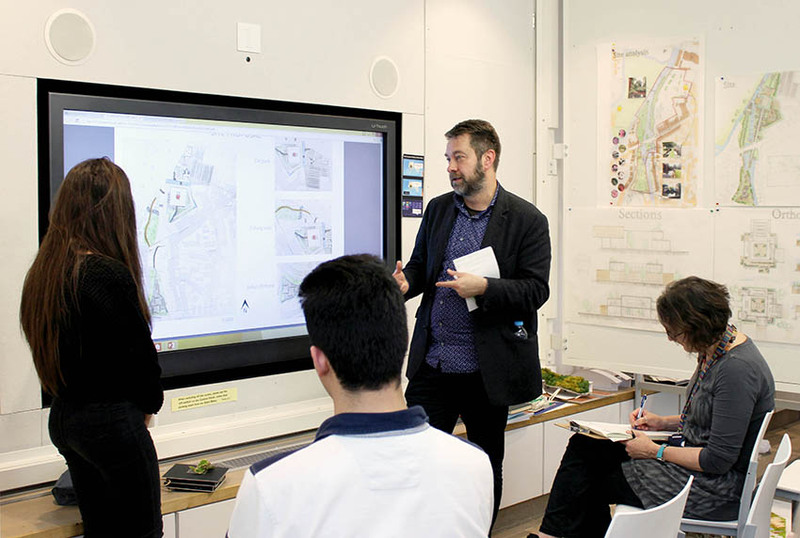 KSA is currently the only school of architecture in the UK that offers a taught programme in architectural education, combining a formal program of lectures, tutorials and seminars with research projects and teaching placements. The module is taught over two terms and is offered to students in the final year on the Master of Architecture (MArch). Alongside undertaking research projects and attending a formal programme of lectures and seminars, which covers social research methods and educational theory and philosophy, the students work as Teaching Assistants on the first year of the BArch program. The module is taught by the module convener, Dr. Henrik Schoenefeldt, but the during the placements the first year tutors act as mentors, reviewing their progress in teaching practice. The students are recording their teaching experience and observations in teaching journals and will write a critical reflection on their practice at the end of Spring Term. On Wednesday, 16 December 2015, the current cohort of students gave presentations on their research projects. These were attended by the module convenor and members of the first year tutorial team, Rebecca Hobbs, Chris Gardener and Patrick Crouch. The project engaged with a diverse range of topics in architectural education. Two projects reviewed more fundamental questions about the UK’s architectural educational system. Philippa Cheetham’s study reviewed the RIBA’s proposed changes to the current model, exploring barriers to establishing closer partnerships between universities and architectural practices in the education of architects. Amy Forrest conducted surveys looking at how far employers and students themselves consider the architectural degree effective in getting students ready for industry. Much of the design teaching in architecture schools is delivered by practicing architects and Hannah Williams’ project explored how far involvement in teaching enables practitioners to become better designers. A questionnaire-based survey suggest that it does, amongst others by enabling practitioners to hone their communication skills or advance their knowledge of current technology and environmental principles. The other projects addressed questions related to teaching practice and the student learning experience. Nathaniel Seal investigated how and how far technical teaching feeds into studio-based design teaching. David Canalda focused on the use of model making as educational tools and Noor Alalawi research was on the difficulties of teaching construction detailing in the context of design. Farran Keenan’s project explored how students can learn through the experience of real buildings. Matthew Orme undertook a detailed study on the student perception of design crits and Jamal Beckford studied the interaction between students and studio tutors. The project reviews were followed by the presentations and discussions on teaching practice, engaging with different aspects of the current first year curriculum. It facilitated a dialogue between the pedagogy students and the more experienced professional university tutors about the challenges of teaching architecture at undergraduate level. Over the past two years the research has also directly contributed towards the development of new educational practices at Kent. This included, among others, the development of an architectural dictionary for the first year program and recommendations for restructuring the undergraduate technology curriculum. 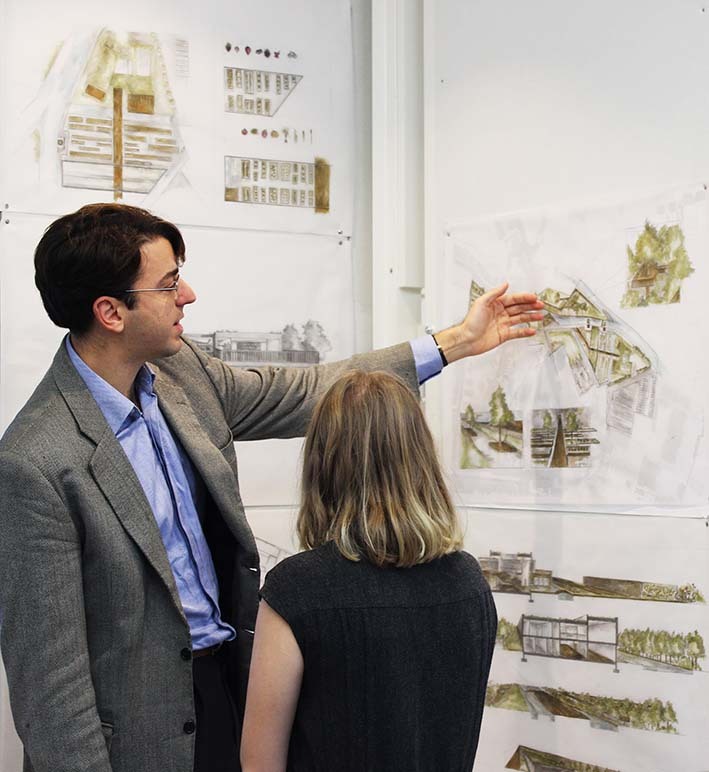 It’s been a busy week here at the Kent School of Architecture for all our students. Our Stage 2 students have spent the Autumn term working on their Landscape and Architecture Design module. Their brief has been to design a Gardening and Cooking School in Canterbury. The site is located along the Great Stour River and includes Solly’s Orchard, the weir, the bridge and a section of Pound Lane. The Cookery School will provide a space and environment to learn about growing food and cooking. Our Stage 3 students have spent this term working on their Adapt and Extend design module. Their brief has been to design a naval and aviation museum; their site is at the Dockyard Church in Sheerness-on-Sea. The project celebrates the naval history of the Isle of Sheppey, providing a record of the important historical events that took place. The programme seeks to display and animate the history of the adjacent Royal Dockyard and the islands’ aviation activities, and to provide space for memorial for all the victims of its naval pursuits. Our MArch students also presented their work on Monday during their intercrits. As part of the MA Architectural Visualisation, students have been engaged in the module AR821: FIlm & Architecture. This year, as part of the programme, Programme Director, Howard Griffin along with his students have hosted a number of film screenings. In addition to these films, students have also been studying and comparing other films, such as Minority Report, Sin City, Brazil, Wall.E, Dirty Harry and Gattaca. 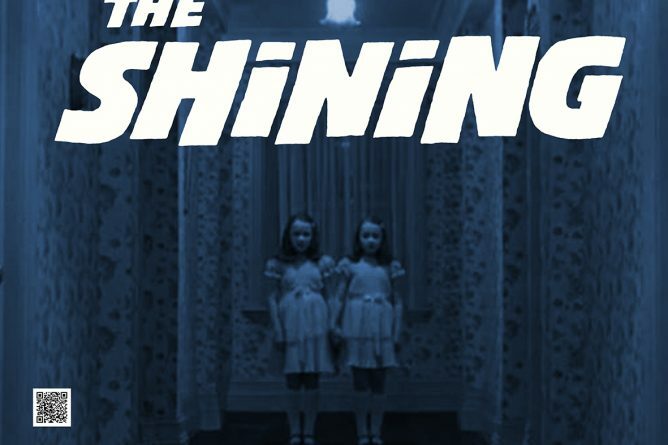 The final film screening takes place this evening at 5.30 pm, which will explore the architecture of Stanley Kubrick with his iconic film, The Shining (1980). Please feel free to join us in MLT2 to listen to my students present their research about this and other Kubrick films in the context of architecture.